You can’t deny that this two bedroom apartment has a fantastic location in Bayview Road just minutes from the seafront, Red Barn and village. The view from the main living room, kitchen and balcony is one of the best and takes in the beach, sea and surf of Woolacombes main beach, spectacular! The kitchen is fully equipped with all appliances and has a great “washing up view”! It has a washing machine and access to a communal drier and a dishwasher. The living room and kitchen are open plan and in the living room there is a sofa suite/TV/DVD and WiFi. There is a double en-suite bedroom and a 2nd room with a single bed with “trundle” bed under that can be pulled out if 2 people sharing the room. There is a family bathroom. Imperial 1 is the first floor of 3 apartments next to the Imperial bed and breakfast which is always handy if you have friends or relatives joining you for a few days of the holiday. 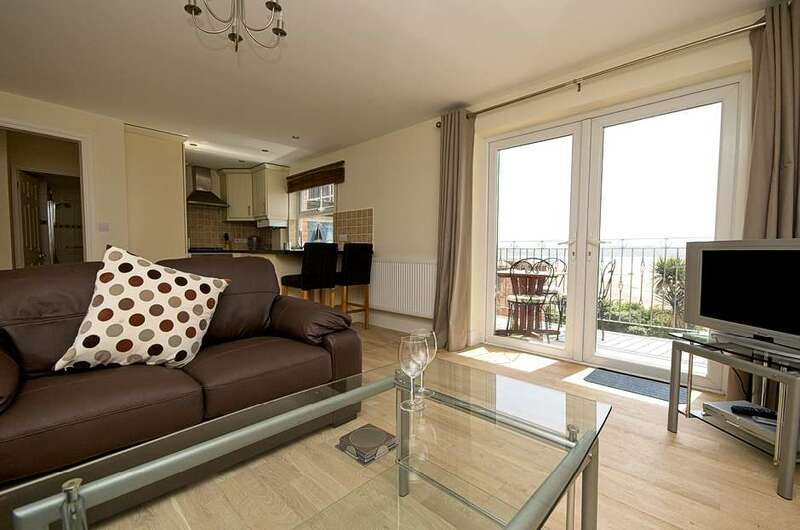 This is a great two bedroom place with parking and views for everyone to enjoy a holiday in Woolacombe all year round.